In bumpy footage from their helmet cameras, they can be seen grabbing everything they can over the next 37 minutes — the captains logbooks, a laptop computer, charts, and a slippery 200-pound fish. The video shows the fishing hold about a quarter full with catch and the Thunder’s engine room almost submerged in murky water. “There is no way to stop it sinking,” the men radioed back to the Bob Barker, which was waiting nearby. Soon after they climbed off, the Thunder vanished below. It was an unexpected end to an extraordinary chase. 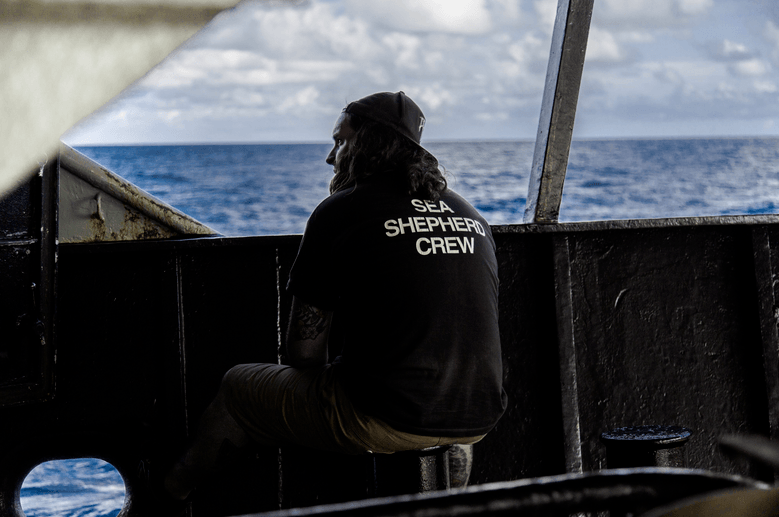 For 110 days and more than ten thousand nautical miles across two seas and three oceans, the Bob Barker and a companion ship, both operated by the environmental organization Sea Shepherd, had trailed the trawler, with the three captains close enough to watch one another cigarette breaks and on-deck workout routines. 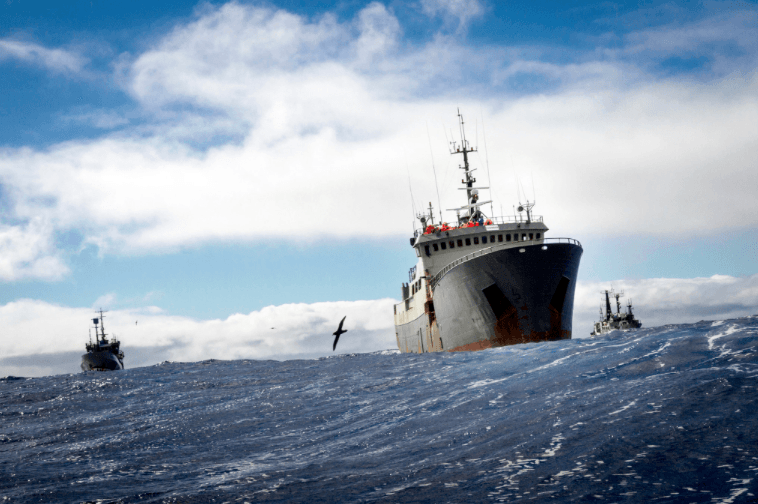 In an epic game of cat-and-mouse, the ships maneuvered through an obstacle course of giant ice floes, endured a cyclone-like storm, faced clashes between opposing crews and nearly collided in what became the longest pursuit of an illegal fishing vessel in history.